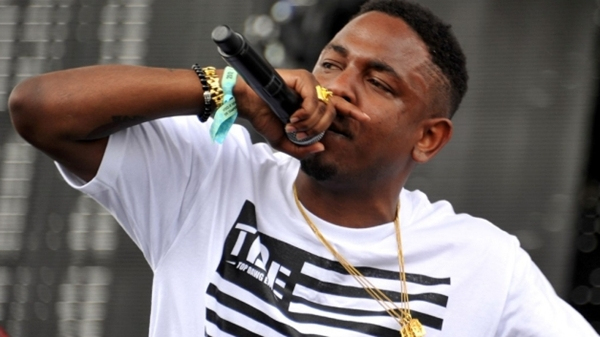 Twitter Loses It's #@*&^% Mind Over Kendrick Lamar, How Could Radio Let This Happen? Halle Berry's favorite rapper Kendrick Lamar (or maybe not) dropped a well timed lyric (Tuesday morning at about 2:00 am???) on Big Sean's Control. You say you didn't hear it on the radio? Most of y'all won't. One of the most interesting things to happen in Hip Hop music in years is simply a rap battle where Kendrick Lamar takes on the entire world of Hip Hop. A rap battle. Nothing more. First heard on social media. Now that's a problem for radio. Radio is not in tuned to the culture that is happening on Twitter. Some call it Black Twitter. (Wonder when somebody will try to call it "Urban Twitter"...anyway) There are a few radio personalities that are getting it. But overall the direction that the radio industry took a few years back by making the radio DJ a non-factor in the "more music less talk" business model has come back to haunt them. A song was dropped at what time? And EVERYBODY heard it...radio doesn't even measure listeners at that time of the morning. The fact that the music industry is distributing product that contains **explicit** lyrics means that the DJ's can talk about the songs, but they can't play the songs without a whole lot of editing. Anyone can see that's something that will never be solved...once the box is open, they've let the cat out the bag, etc. ...in other words, nobody is ever a little pregnant. Some in the radio industry may say that "that audience" is not a desirable demo, so it really doesn't matter because they're not that attractive to advertisers. Really? Well somebody is reaching them. that he went in on Charlamagne tha God @CThaGod of Power 105.1 and Ebro Darden @oldmanebro Program Director of Hot 97 for changing their opinion about the diss song. After early criticism, the blogger claims both radio personalities praised the song. How can radio let any of this happen? So Tuesday night at around 2 or 3am, G.O.O.D. Music golden boy Big Sean decided to drop a joint called “Control” online. After a gang of hefty claims he had just made about out-rapping everybody he’d been on a track with, he set himself up to knock one out of the park with the No I.D. produced banger, which featured the long-lost Jay Electronica and MC ultra Kendrick Lamar. What followed was a storm of controversy. Kendrick not only showed up Big Sean and made Jay Elec seem non-existent, but he threw a challenge at his contemporaries spitting “I’m usually homeboys with the same n*ggas I’m rhymin’ with. But this is Hip Hop and them n*ggas should know what time it is. That goes for Jermaine Cole, Big K.R.I.T., Wale, Pusha T, Meek Mill, A$AP Rocky, Drake, Big Sean, Jay Electron, Tyler, Mac Miller. I got love for you all but I’m tryin’ to murder you n*ggas. Trying to make sure your core fans never heard of you n*ggas [and that] they don’t want to hear not one more noun or verb from you n*ggas.” And that was right after he declared himself the King of NY. How did that happen? When did NY, the original Mecca for lyrics and lyricism, become up for grabs in the eyes of MCs? As the hours ticked by and the answers became clearer to me, I let my thoughts out over Twitter.